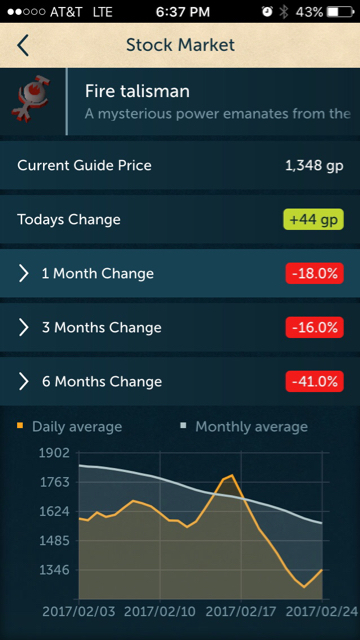 Welcome to the world of finances, RuneScape style! You more then likely have used the GE to buy and sell items. But what if I told you that you could make money while on the go in real life. Have work? No problem! 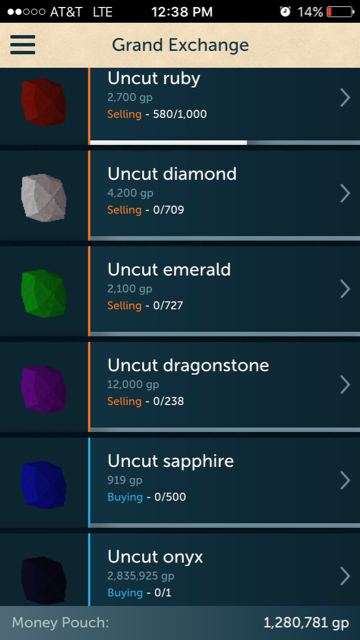 With the RuneScape companion you can buy items, file that paperwork at your cubicle, and then sell the items within the hour. The GE mirrors the global stock market, where the prices rise and fall depending on supply and demand. The same place that handles your cash and items are the same people who buy and sell your items for you. This is called a brokerage, and the Bank of RuneScape is our brokerage. This service is provided free of charge, but provides no interest rate or protection from loss. You are in full control here. If you have enough money, you can influence all trades of that item for the day. 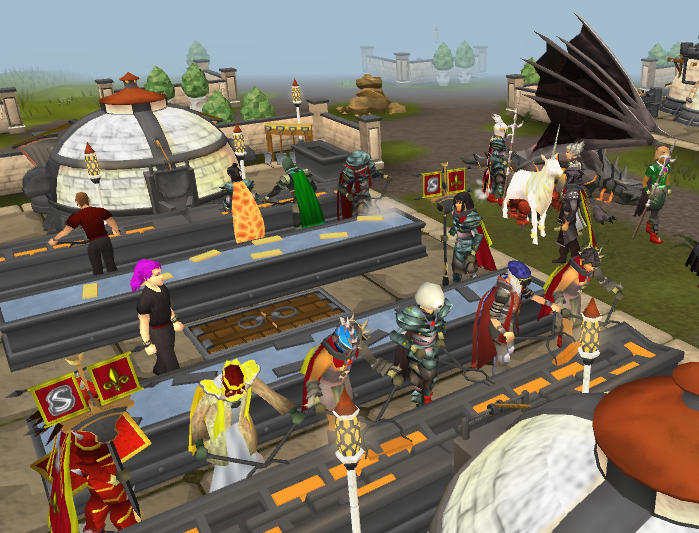 Let's take a look at how the Bank of RuneScape manages your trades. 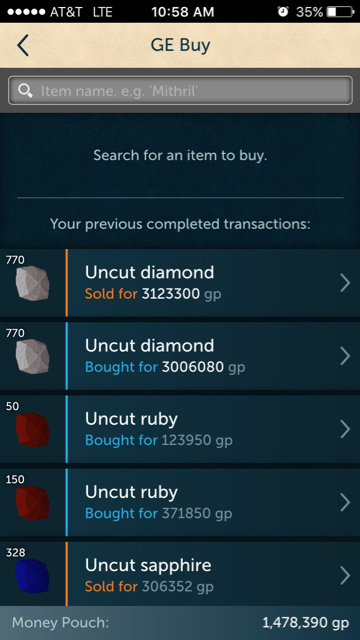 As you can see I currently control all trades of uncut gems going in and out of the market, with only 10M. If an item is selling at a higher rate then people are offering for it, nothing will happen. But if you buy an item at a rate higher then the asking price by another player, you will be automatically paired with the lowest offer, saving you money. Here is an example of what I am talking about. 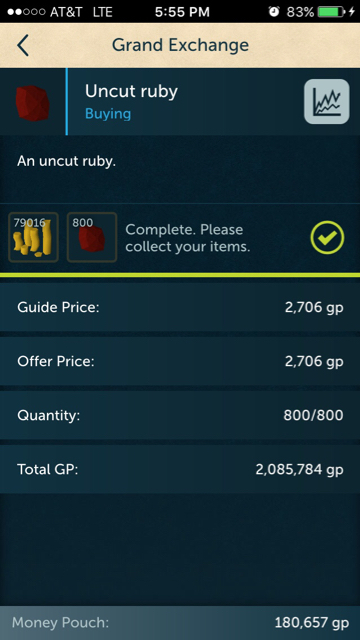 I made a nice 79k just by buying rubies. When I sell them, I will earn an amount around as much as I received when buying them. When you sell an item for a low price, you will automatically be matched with the highest offer on the market, increasing your profit margin. The older the offer, the higher trade priority it gets. Until a week of account inactivity, where your items will go offline until you return. So "watch your items closely" to gain the best profit at an appropriate speed. -Buy low and sell high. -Play the game don't let the game play you. 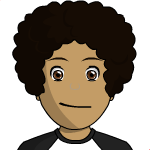 -DO NOT go off a tip from another player, do your own research first before investing in any item. -Have fun! Jagex knows this stuff. 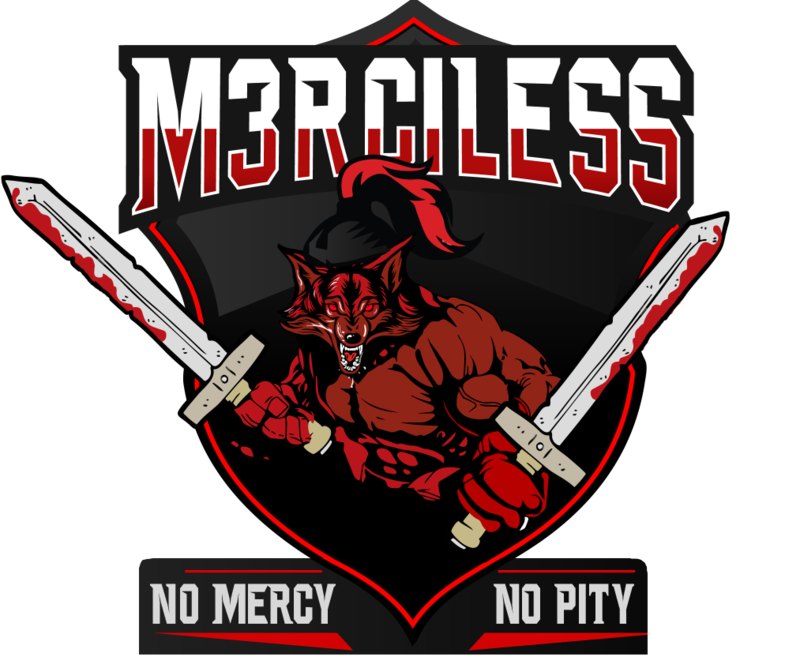 -Market is updated every 12-48 hours. -Items can move up to 5% forward or back a day. - There is a limit to how many items you can buy at a time, and there are many databases illustrating them. Worth looking into. The limit resets every 4 hours. - Play the game long enough to see results. Don't quit. - This takes practice, or the IQ of a math genius which is the case for me. The first method of money making is short term investing. It is when you buy an item, and sell it the next day when the price goes up. Day 1: You buy fire talismans at the market price in bulk. Day 2: You sell the fire talismans making a profit based off the price change. The more money you invest, the more money you make. It works on a percentage basis. Similar to short term but the items are kept and sold after a week, even months. 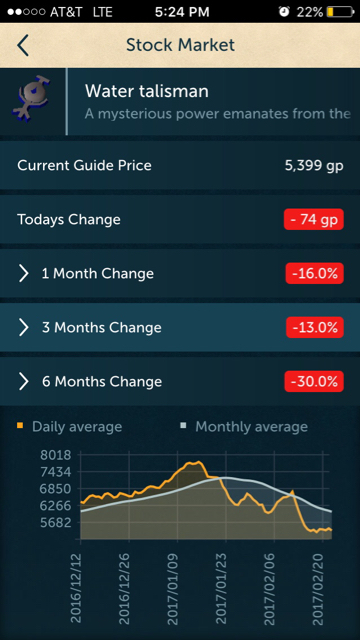 This picture shows the price change over six months. Can you find the buy/sell points? This is what I do. We go back to the gems. For this you want to buy at market price, and sell at a price no higher then a 5% increase. You will need enough money to control all transactions or it will not work. You will be stuck with 500 dragonstones. Don't believe this works? Your first task as an investor is to find a well traded item or one that just crashed, and find information on its price, history, and future uses. 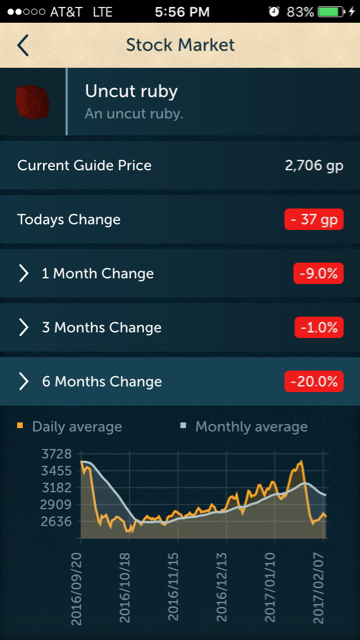 For example, you can buy items a few months before a projected DXP Weekend and sell during the weekend in question when the items price will skyrocket. Research is crucial and should be done with short and long term investing. If you're a day trader, forget about it! The study of chart movements. This is used to predict an items rise or fall in the market. Basically the highest sell point is called the resistance. And the lowest sell point is called the support. Ultimately most items rise and fall to these points frequently. You should take advantage of this as an alternative to research. Can you find the resistance and support in this picture? The market is bullish when there are a rise in overall highs. It is bearish when there are a continuous trend going down. You now know everything I do about the GE. My investment doubled in less than 2 weeks. Now award me my award Jagex! In game GE buy and sell history is short. May want a spreadsheet to track your long term purchases. I personally like market watch investments because if you buy under the General Store sale price you have ZERO risk.